Las Flores El Salvador. 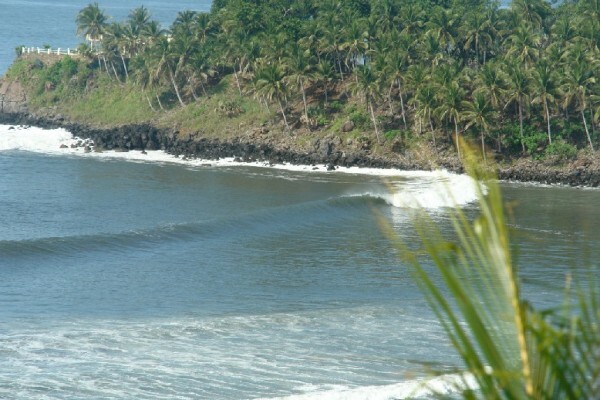 This place is easily one of the coolest places to surf on earth. 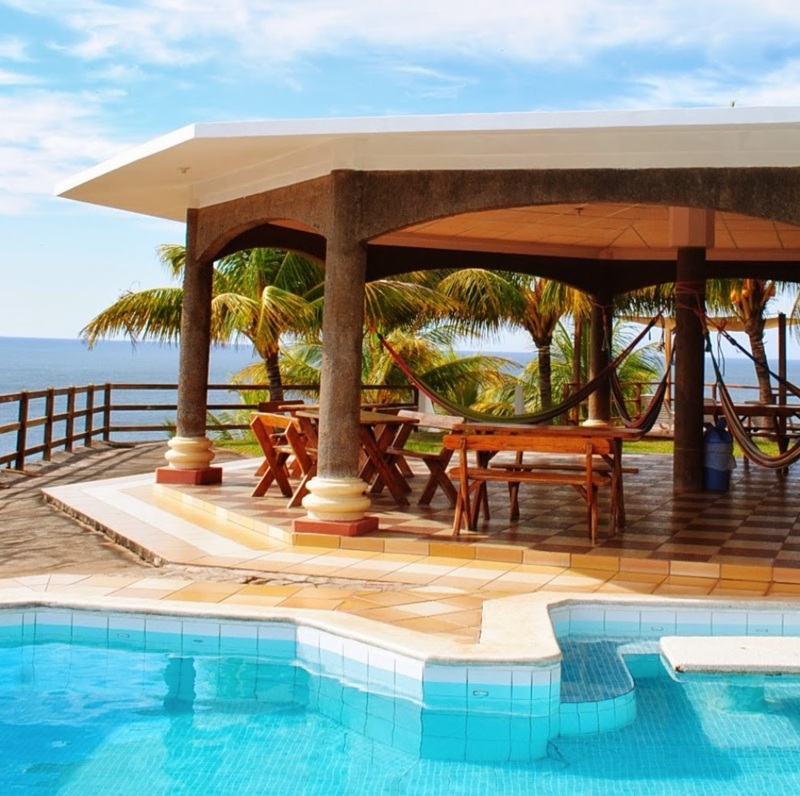 And Mira Flores is our top choice for places to stay in Las Flores. 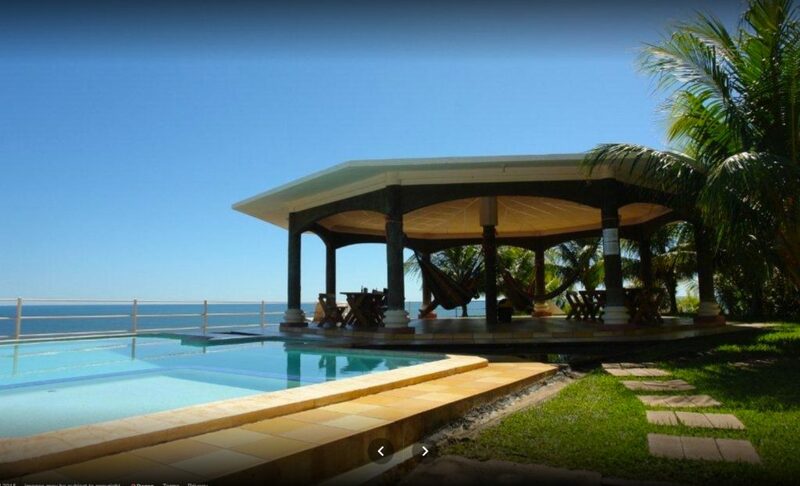 Mira Flores sits oceanfront at this world-class point break and has amazing panoramic views of the break. 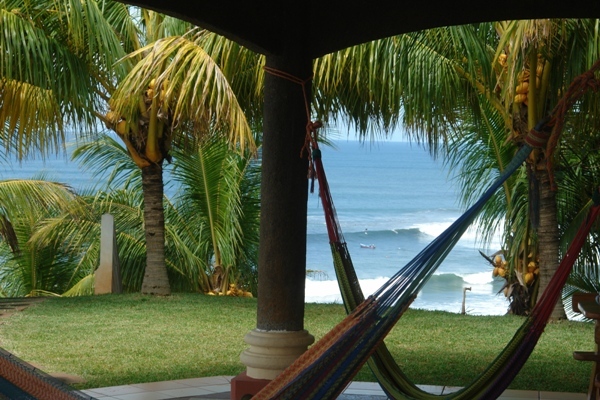 The hotel is also just a short boat ride away from another great wave, Punta Mango. 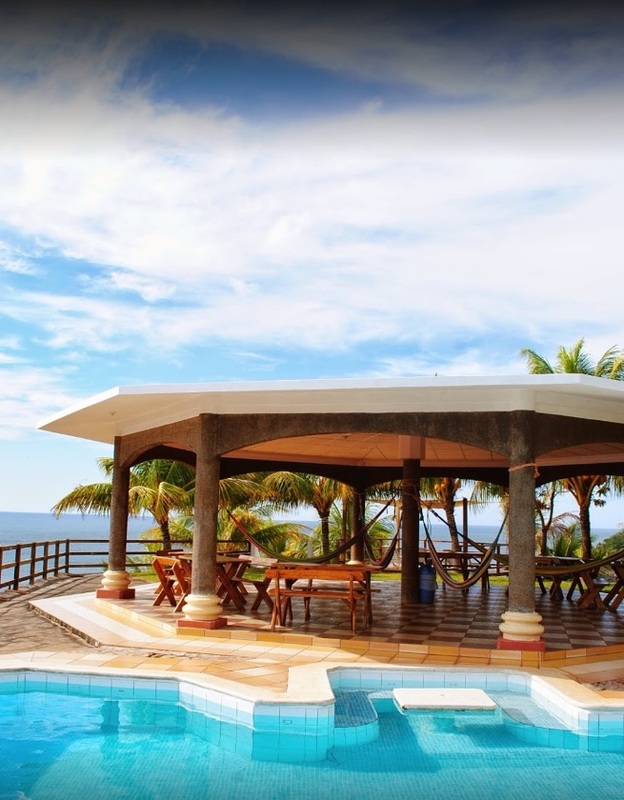 At Mira Flores, you will enjoy some of the best views imaginable while paying a very affordable price. 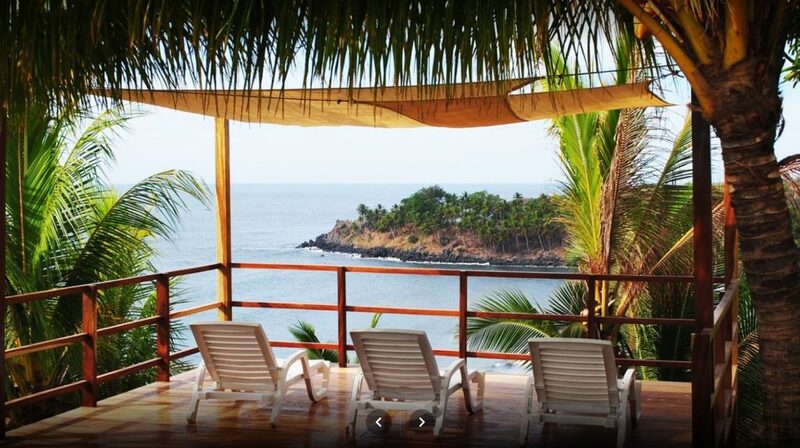 The surfing at Las Flores is a short walk, and you can watch it all day long from the elevated pool and deck overlooking the ocean. 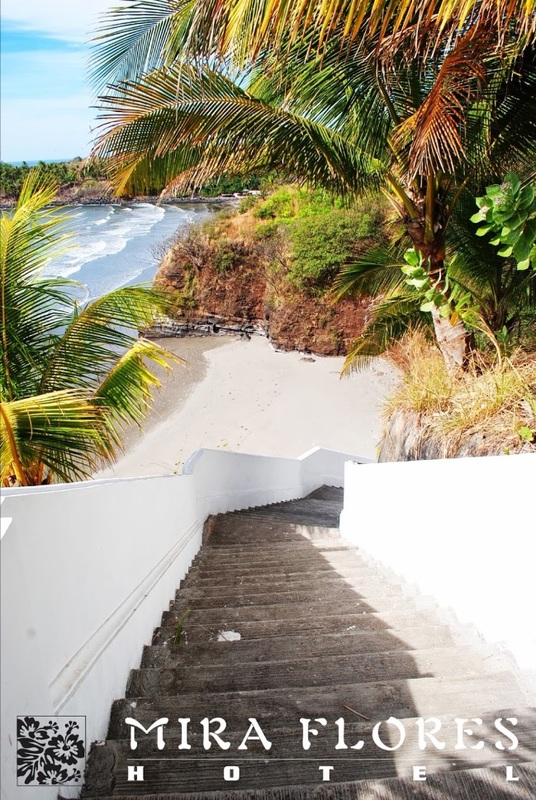 Hotel Mira Flores joins the warmth of home with the charm of a tropical getaway. 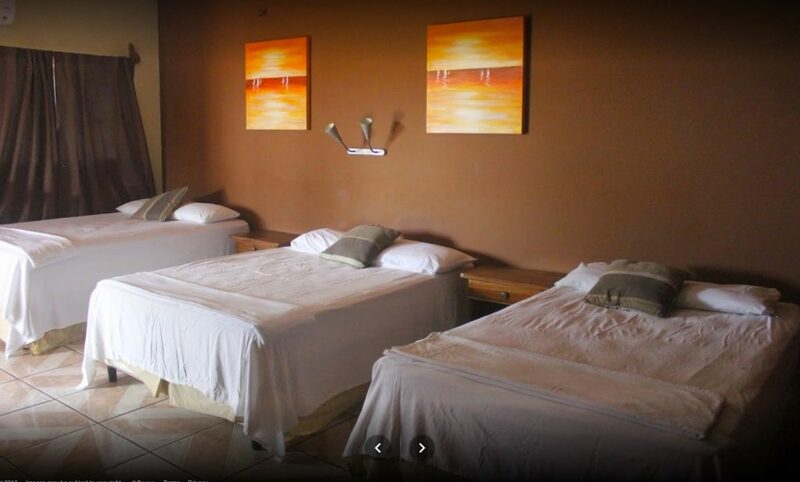 The rooms here can accommodate up to three adults per room, with 2-3 full size beds per room. The rooms have AC, private bathroom, Cable TV, internet, and breakfast is included for each guest. 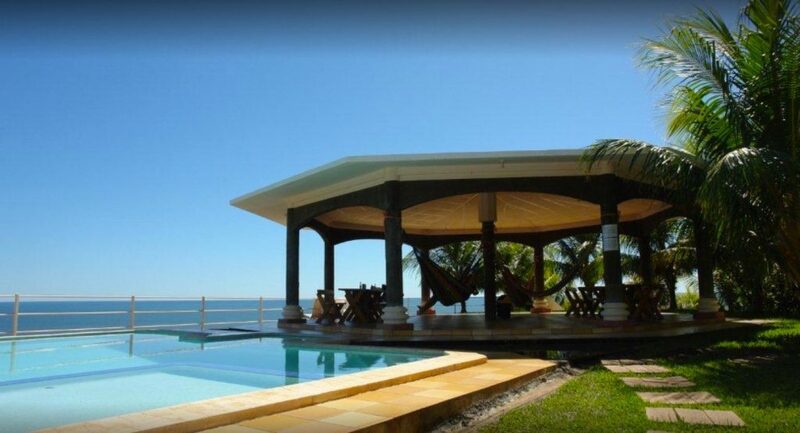 The hotel also has a nice restaurant and bar, and great common areas with hammocks and ocean views by the pool. 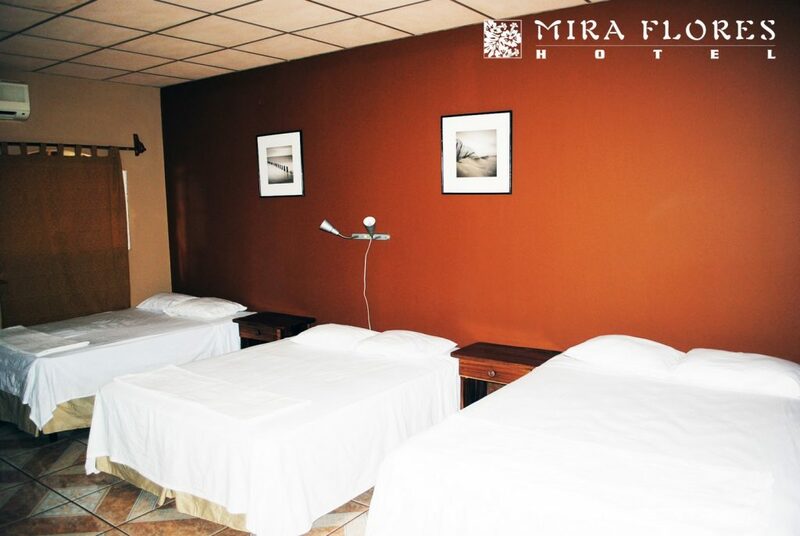 Ask about a deep tissue massage here, where you can be pampered on Mira Flores massage deck. Mira Flores also has a great quiver of boards available for rent. You can rent high performance surfboards in all shapes and sizes at a great price. Let us know if you plan on renting and we can provide you with a list of the boards available at this location.